Counting for Life program update! Just a quick update on the Learning Links Counting for Life program that we sponsoring! The children have thoroughly enjoyed the first two learning sessions and really look forward to seeing their Counting Buddies each week. They love the one on one attention and getting help with their math. They are particularly enjoying a game called ‘Space’ and like writing the book provided. Children are describing the program as fun and exciting! 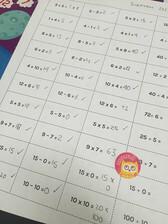 Here is a photo of one of the completed sheets by a participating child. Stay tuned for our next update in a fortnight! Melanie and the team at Indigo Finance. http://www.indigofinance.com.au/wp-content/uploads/2017/02/Counting-for-Life-program-update.jpg 224 168 wsadmin http://www.indigofinance.com.au/wp-content/uploads/2017/01/indigo-finance-logo.png wsadmin2016-09-28 02:38:212017-03-09 02:31:24Counting for Life program update! Five types of asset finance and how they could help your business! Short of capital to buy equipment for your business? Consider asset finance to support your operations. Asset finance is an umbrella term for any loan structure that helps a business purchase equipment, such as machinery or vehicles, for its operations. There are a number of loans designed to suit different situations. A chattel mortgage allows you to borrow money to purchase an asset. Your business owns the asset, but the lender has the asset as security until you complete the repayments. This frees capital and also gives your business automatic security for the loan. With this option, the lender owns the equipment and your business pays hire fees to use it, which act as loan repayments. At the end of the agreed term, your business takes ownership of the asset. This spreads out the cost of the asset. Like commercial hire purchase, a finance lease means the lender owns the equipment and the business pays hire fees to use it. At the end of the set term, however, the business can choose whether to purchase the asset. This spreads out the cost of the asset and also provides flexibility. Again, an operating lease means the lender owns the equipment and the business pays hire fees to use it. The difference is there is no option to purchase the asset. The leasing costs are deemed operational rather than a liability on your balance sheet. A novated lease is a financial arrangement between a business, an employee and a lender. The business borrows money from the lender for a motor vehicle, which the employee then leases from the business. The business owns the vehicle until the employee repays the loan. The repayments come from the employee’s gross salary, so there are some tax benefits for the employee. Businesses need capital to purchase essential assets, and there are a number of solutions to support funding gaps. Talk to your broker today about your asset finance options. 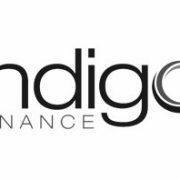 http://www.indigofinance.com.au/wp-content/uploads/2017/03/default-v2.jpg 198 300 wsadmin http://www.indigofinance.com.au/wp-content/uploads/2017/01/indigo-finance-logo.png wsadmin2016-09-27 02:37:222017-03-09 02:31:29Five types of asset finance and how they could help your business! Whether you’re buying a property to invest in or call home, it’s a good idea to look at emerging property trends, to support your purchasing decision. Buying a property that can accommodate a growing family in a major city is challenging on the average family income. Instead, some buyers are looking in outer metropolitan and regional areas within two hours’ drive of a capital city. These are considered “lifestyle locations”, according to REA chief economist Nerida Conisbee, because buyers can afford larger blocks and homes. Properties in these outer locations are also a popular first investment, even if the buyer remains renting and working in the city. These ‘rentvestors’ are getting into the property market without giving up the benefits of their current lifestyle. Speaking of outer locations, apartments are no longer confined to CBDs. Many types of council in outer metropolitan areas have given developers the go-ahead to create higher-density living quarters. Affordability is the key to this trend, but the changing nature of people’s employment, where workplace locations are no longer focused in city centres, also supports the move away from primary CBDs. Another trend to watch is the move towards multi-generational households. These are becoming more common as elderly parents require care, or when they find living alone becomes too expensive. Families benefit because older relatives can supervise young children. According to John McGrath of McGrath Estate Agents, Asian immigration has given this trend a nudge, as multi-generational households are the norm in many Asian cultures. Property sizes are growing to accommodate the increased number of people under one roof, with popular additions including extra bedrooms, granny flats and self-contained levels. Multiple bathrooms are also a must. http://www.indigofinance.com.au/wp-content/uploads/2017/03/default-v2.jpg 198 300 wsadmin http://www.indigofinance.com.au/wp-content/uploads/2017/01/indigo-finance-logo.png wsadmin2016-09-26 02:36:452017-03-09 02:31:34What's hot in property! Five things to consider when interest rates are low! Favourable interest rates are a borrower’s best friend, but should you lock in a low rate or go with a variable rate? Here are five things to consider. Interest rates are at historically low levels and the current outlook suggests there may be further cuts in the medium-term future. If you lock in your rate now, you won’t reap the benefits of later decreases. The question is: how low do you think the rate will go before it starts to climb back up? Timing is crucial if you want to lock it down at its lowest point. How are your budgeting skills? If you want to know your precise repayment obligations for the next one, three or five years, then a fixed rate term can give that to you. Be aware, however, that you may not secure the best rate. Consider this route if certainty is important to you. Fixing a rate denies you some flexibility. Once you fix a rate, some lenders won’t let you make extra repayments to reduce your principal. If you come into extra money, such as a work bonus or an inheritance, you lose the opportunity to make what could be a sizeable dent in your mortgage. A fixed rate may put you at a disadvantage if you’re looking to sell your property in the foreseeable future. Lenders may charge a break fee if you make changes to your loan or pay it off early, which often happens when borrowers sell. According to a study conducted by Canstar, a website that compares loans, the advantage of a variable versus fixed rate is fairly small over time. Canstar compared an average three-year fixed-rate loan with variable rates over two decades. People who fixed their loan did better for 112 months, while those who chose variable were ahead for 123 months. “That’s pretty close to a 50/50 bet,” remarked Mitchell Watson, research manager for Canstar. Seeing interest rates decrease understandably prompts borrowers to think about fixing their mortgage to a low rate. If you’re weighing up the options, consider the benefits and drawbacks of locking in a low rate versus the flexibility of a variable loan according to your personal circumstances. http://www.indigofinance.com.au/wp-content/uploads/2017/03/default-v2.jpg 198 300 wsadmin http://www.indigofinance.com.au/wp-content/uploads/2017/01/indigo-finance-logo.png wsadmin2016-09-24 02:35:512017-03-09 02:31:37Five things to consider when interest rates are low! Remember, when attending open homes the real estate agent is there to get the best price for the vendor! As your fi nance specialist we provide unbiased information with YOUR best interests at heart. Conducting research BEFORE your search will put you in a much better position to assess if a property REALLY ticks all your buyer boxes! We can help you tick those boxes! Download our ‘property checklist’ to use at EVERY property inspection. Ready to talk home loans? Call us TODAY and we’ll book you in for a chat. We spend more time choosing shoes than a house! A recent survey of 2,000 homeowners in Britain found most people spend about the same length of time deciding whether to buy a pair of shoes as they do deciding to make an off er on a house. Similar Australian research shows many people spend 6 to 12 months looking for a property but also act quickly when making a decision to buy. The British survey actually found almost 10% of people made an off er within TWO MINUTES of viewing a property. One of the biggest problems for most homebuyers is the emotional attachment to the purchase of a home. When our emotional boxes are ticked we are less likely to see signs that SHOULD spell caution. First and foremost you should see this as a financial transaction – probably the biggest you will ever make – not just a lifestyle decision. First home buyers can be particularly vulnerable to buying the fi rst decent property they see as they lack experience and are often eager to get into the market. Buying an investment property? It is even MORE essential to have your head in the game when the aim of your purchase is to support your long term investment goals. What are the potential costs of a lack of research? Buyer’s remorse. You may have to live with your regret for a long time or face the costs of selling and moving. Going beyond your budget. When you fall ‘in love’ it’s more tempting to pay more than you can afford! Paying too much. Without local research you could pay an overinfl ated price for the area. Value for money. Tempted to rush in because it’s cheap? Why is it cheap? Is it REALLY value for money? Choosing just ANY home loan. DON’T rush in and sign up with the first lender that says yes! As your finance specialist we have access to a wide range of loans and lenders to help you choose the most suitable loan product for your individual circumstances. Your FIRST STEP should be determining how much you can borrow. We can help you with that too! Knowing your limit keeps your expectations realistic. The amount you can aff ord will ultimately define the type(s) of property and area(s) for your search. The NEXT STEP is researching suitable areas. List your desired property features into ‘must have’, ‘nice to have’ and ‘must not have’. Think about your FUTURE as well as immediate needs. Ticking boxes – or identifying issues – at every inspection will help keep you on track to finding a property that fi ts your needs. But beware of setting the bar TOO high – know when to compromise or recognise what can be improved with minimum outlay. When you’re ready to start your search we can determine the most suitable loan for your individual circumstances AND arrange pre-approval of your loan. Pre-approval indicates to a vendor you are ready to act and puts you in the best negotiating position. Remember, when attending open homes the real estate agent is there to get the best price for the vendor! As your finance specialist we provide unbiased information with YOUR best interests at heart. Conducting research BEFORE your search will put you in a much better position to assess if a property REALLY ticks all your buyer boxes! http://www.indigofinance.com.au/wp-content/uploads/2017/03/default-v2.jpg 198 300 wsadmin http://www.indigofinance.com.au/wp-content/uploads/2017/01/indigo-finance-logo.png wsadmin2016-09-09 02:34:412017-03-09 02:32:23We spend more time choosing shoes than a house! Indigo Finance are proud to be sponsoring the Counting for Life program! At Indigo Finance, we are proud to be sponsoring Counting for Life through Learning Links whichis a program aimed to develop the numeracy skills of children in Years 3 to 5. 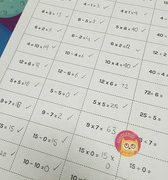 This program is specifically targeted at children who are experiencing difficulties in numeracy and provides one-to-one intensive support over 10 weeks. 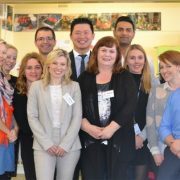 Last month we attended an amazing morning tea that was hosted by the school to welcome all the sponsors and to say thank you for providing the Counting for Life program. We were warmly welcomed at the gate by students and escorted to the library. The school captains and the principal, Kay Campbell, thanked all the sponsors and provided general information about the school and the impact and importance of the program. We were then buddied up with students who took us on a tour of the schools vegetable garden and a science class. The school has a wonderful kitchen where the students learn how to prepare meals and use produce from the garden. 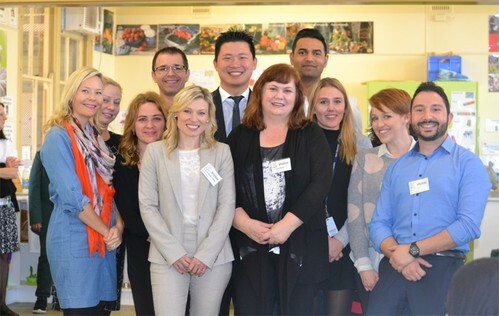 Sponsors had the opportunity to talk to staff, students and children participating in the program and the students and teaching staff had prepared an amazing morning tea! This was a wonderful start to the program and we are looking forward to the graduation event! If you would like to get involved in anyway please contact Learning Links or the team at Indigo Finance to see how you can help. Learning Links are always looking for Sponsors and volunteers to support this great cause. http://www.indigofinance.com.au/wp-content/uploads/2017/02/Indigo-Finance-are-proud-to-be-sponsoring-the-Counting-for-Life-program.jpg 316 499 wsadmin http://www.indigofinance.com.au/wp-content/uploads/2017/01/indigo-finance-logo.png wsadmin2016-09-06 02:32:562017-03-09 02:32:38Indigo Finance are proud to be sponsoring the Counting for Life program!